This powerful and unique 3 day training programme is designed for those who have completed a coach training course (and see above for possible exceptions to this). It is an excellent opportunity to develop your career coaching skills and acquire effective, proven career coaching/management tools which can be applied to your own career development, with your coaching clients or within your organisation. This comprehensive and energising workshop will enable you to develop your career management competencies and knowledge through practical and experiential methods, and includes a 1:1 career coaching follow-up session with Jackie. It has been designed and developed by Eoin McCabe and Jackie Howell and will be facilitated by both. 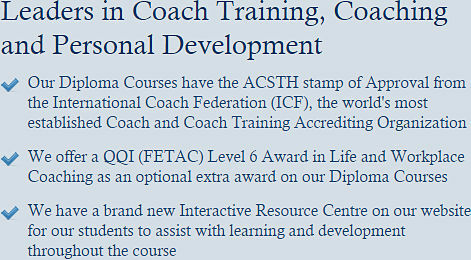 The ILI have been successfully running this advanced training programme since 2006. Jackie is an Executive, Leadership & Performance Coach, Career Strategist and HR Consultant. Before specialising in coaching Jackie held a number of senior HR and consulting roles including, UK Head of Recruitment for KPMG Consulting. She has an impressive track record across private and public sectors, working with ambitious and dynamic individuals and organisations in their pursuit of outstanding results. Her track record combines a credible blend of expertise resulting from her senior HR roles, own business portfolio & international experience. Jackie’s qualifications include Chartered Member of the Institute of HR Management National, NLP Master Practitioner, Leadership Coach, British Psychological Society Occupational and Personality testing, SHL, DISC & Cut-e Psychometric Assessor, Accredited Belbin (teams). 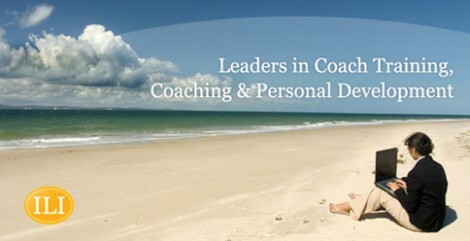 Jackie trains and mentors within Career Coaching field both in Ireland and South Africa. A main focus of Jackie’s current work is implementing a new ‘career management partnership model’ into organisation which, attracts, engages and retains key talent at all levels.